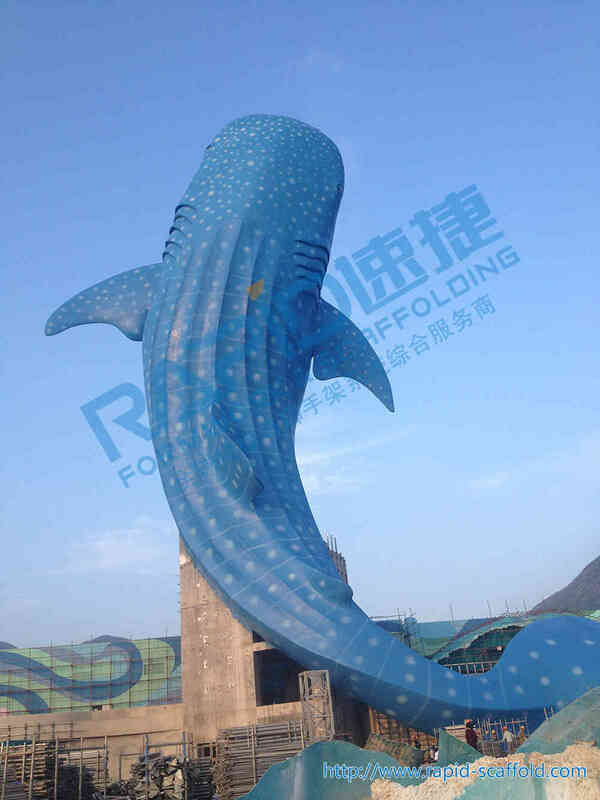 Zhuhai Chime-Long Ocean Kingdom whale shark project is located in Zhuhai's Hengqin Island, the main structure is a concrete structure, the overall height of 65.5m. 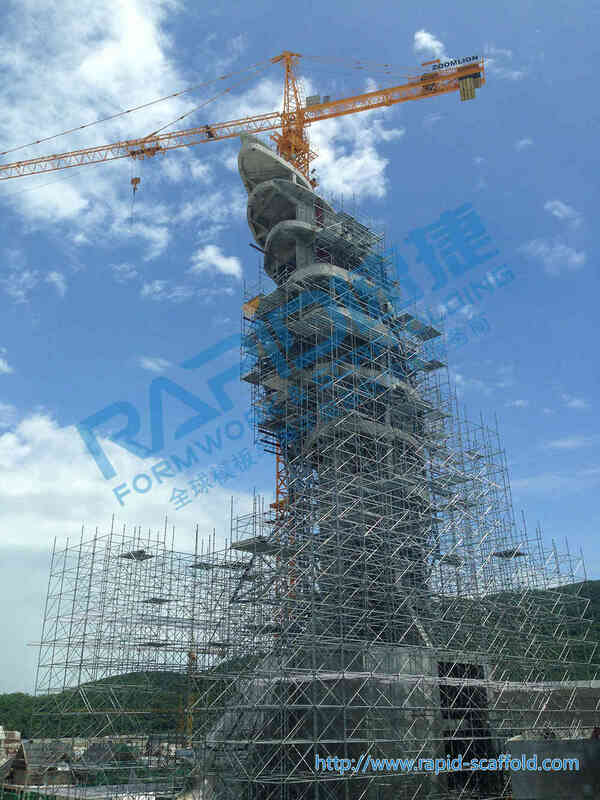 The core tube height 18m, on which the concrete columns and ring beam structure is provided on the ring beam steel embedded parts. 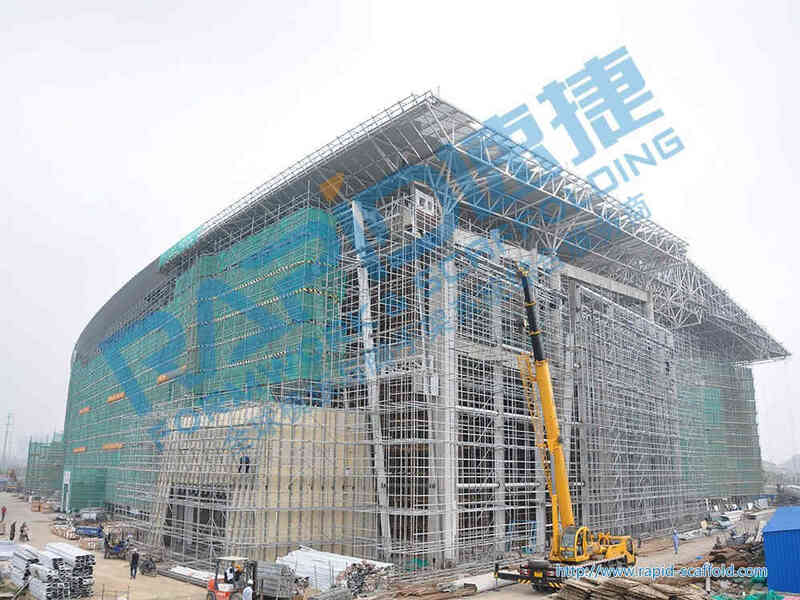 Steel points based subsidiary of steel and steel epidermis, building local special shape, unable erection of scaffolding. 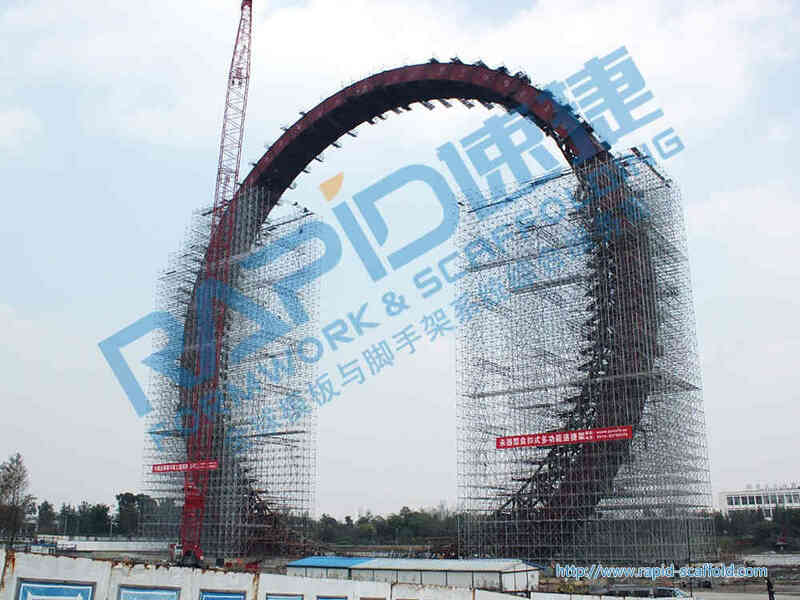 The construction process of the project using rapid socket type disc Scaffold (referred to as "rapid scaffold"). 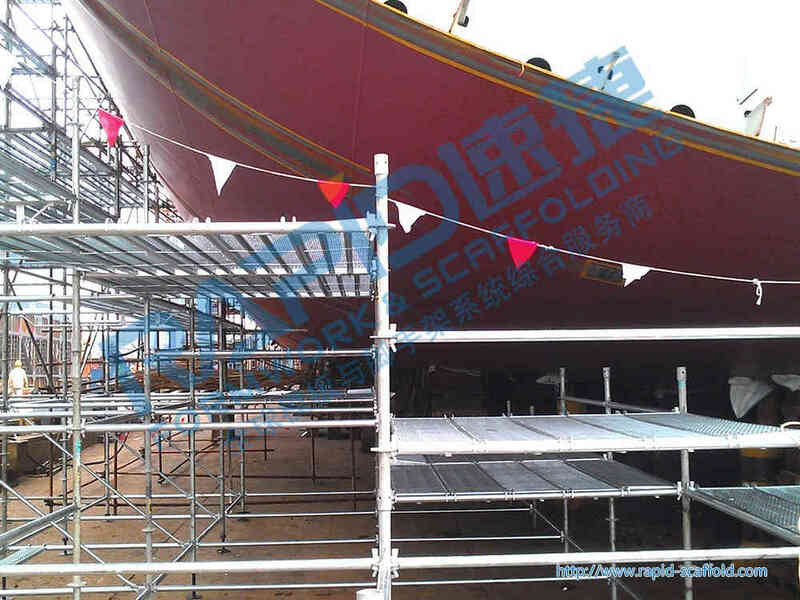 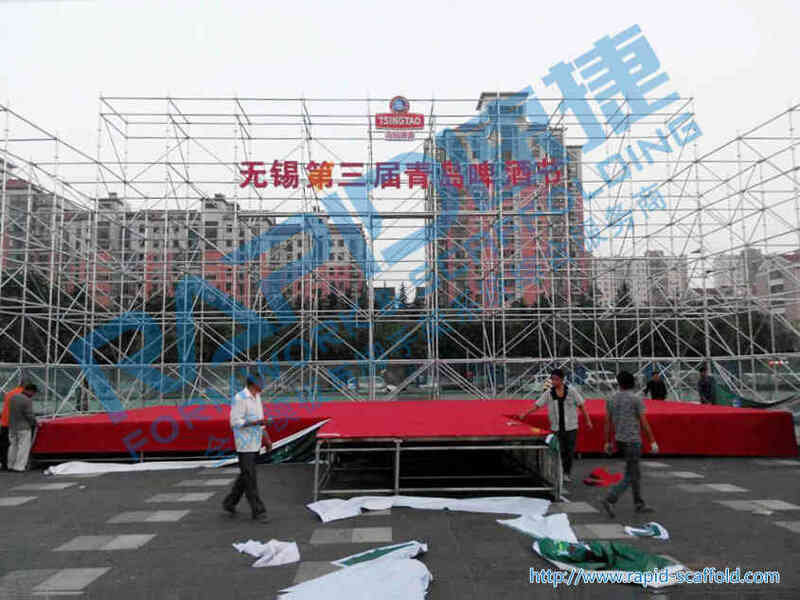 And different difficulties, used a total of two sets of rapid scaffolding supporting technology, to meet the requirements of bearing capacity and stability of the site; With truss plate and beams, scaffold erection pick an empty set, to meet the demand for building modeling.